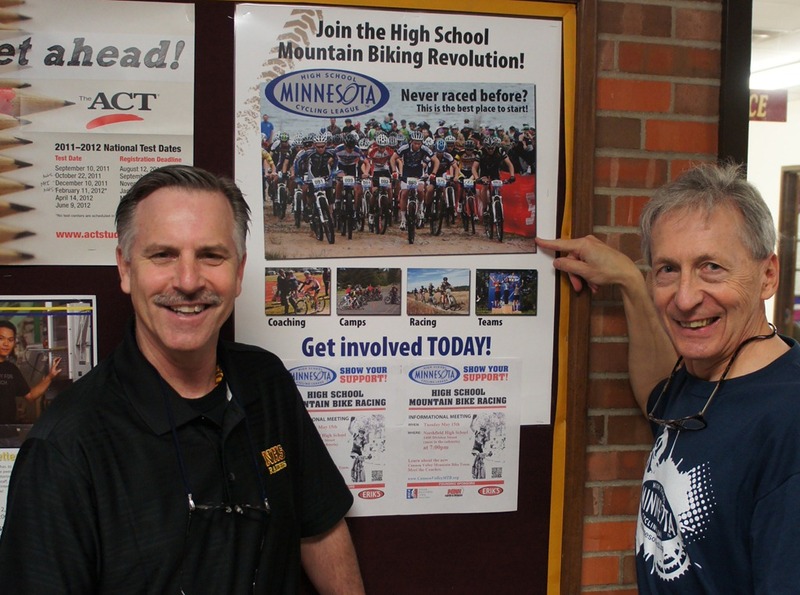 The Minnesota High School Cycling League held their first Leaders’ Summit last weekend. 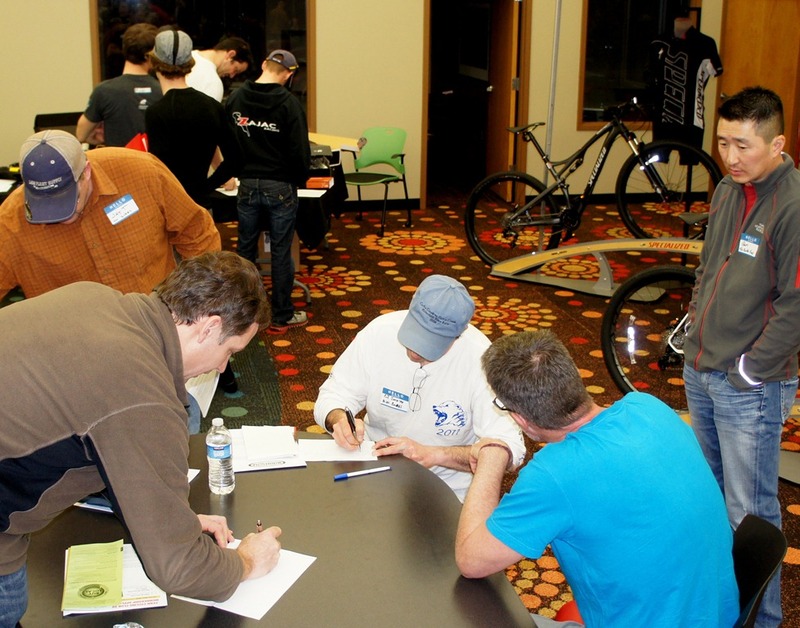 I attended both days (Head and Assistant Coach licensing) along with Northfielder Sue Welch, Community Coordinator for the Cannon Valley Velo Club. 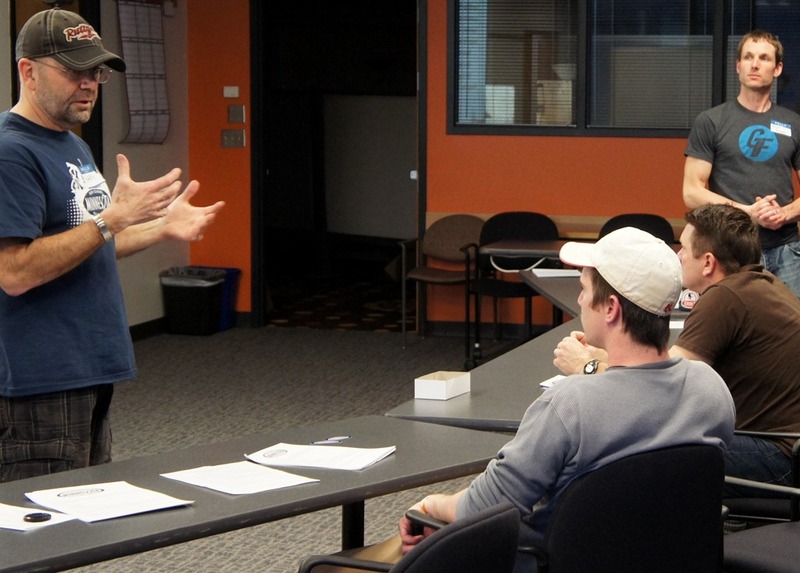 Gary Sjoquist, QBP’s Advocacy Director, organized and hosted the event at their Bloomington headquarters. 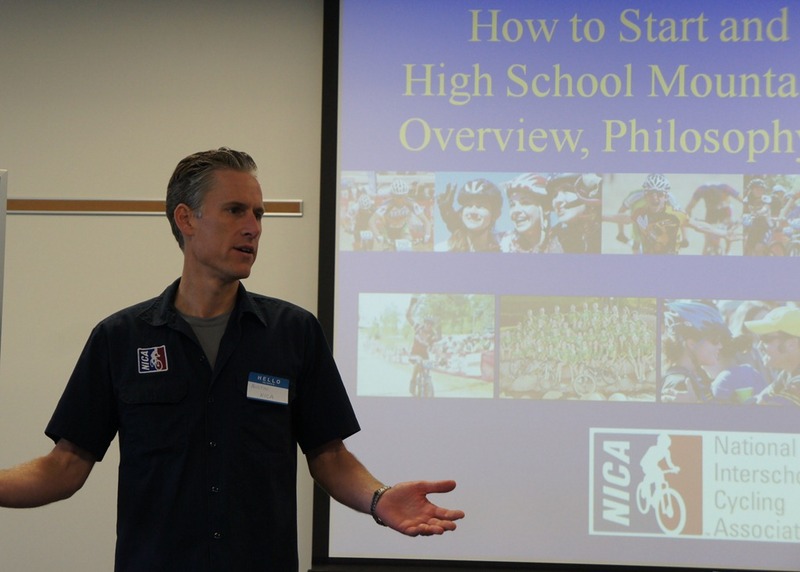 Austin McInerny, (NorCal High School Cycling League, Berkeley High School Mountain Bike Team) did the classroom instruction on Saturday. 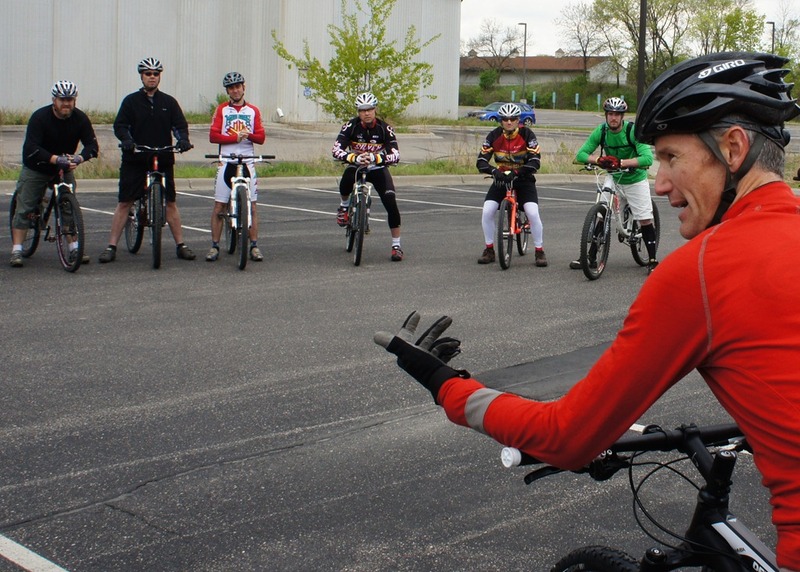 Michael Hayes, Colorado Rocky Mountain School, conducted the skills training (in the classroom and on the bike) on Sunday. Austin and Michael were impressive instructors: very thorough, great storytellers, well-organized, interesting, and funny. Gary treated us royally with breakfast, lunch and even dinner on Saturday, with ample snacks throughout each day and happy hours at day’s end. The only disappointment: it rained all day Saturday and on and off on Sunday so the end-of-the-day-rides had to be cancelled. I’m pretty enthused about all this. Sue and I will soon host a community info night in Northfield for interested student athletes and parents. 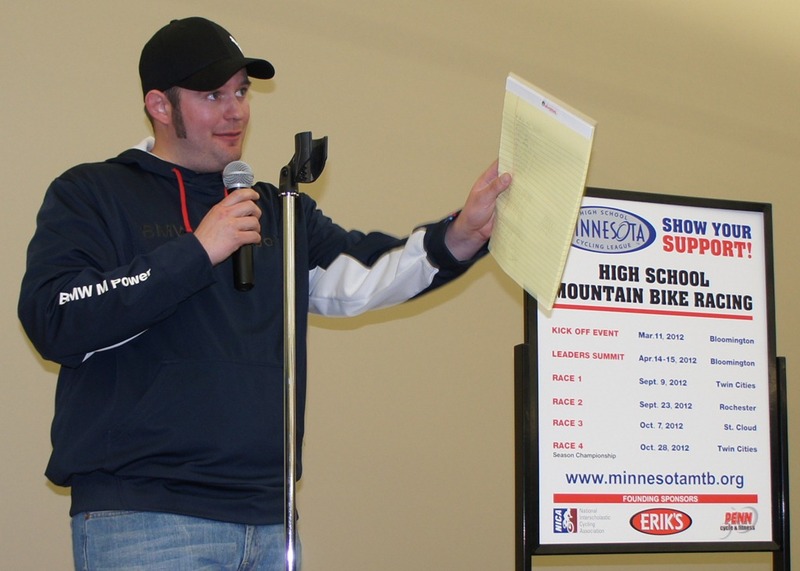 The Minnesota High School Cycling League held their Kick-Off Open House at QBP’s HQ last Sunday night. About 100 people attended. Click play to listen or download the MP3. 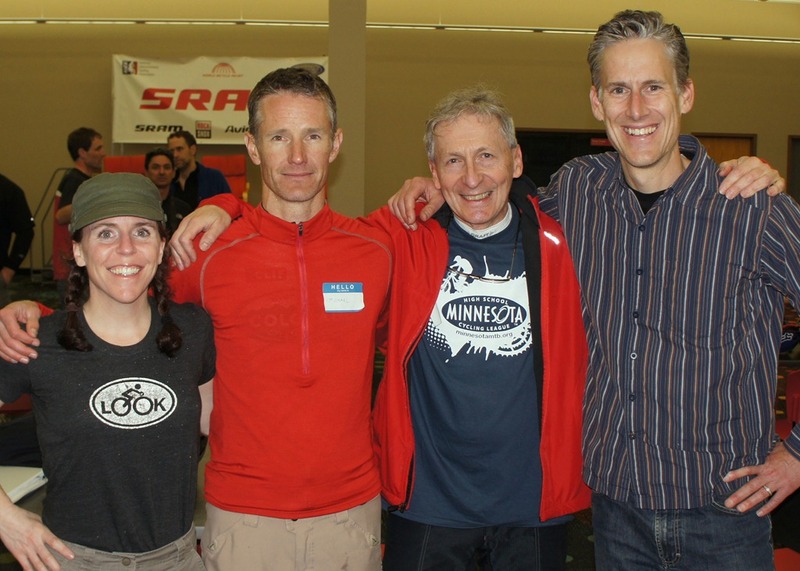 Gary said that the League’s first initiative is to form a high school mountain bike racing league in here in MN. 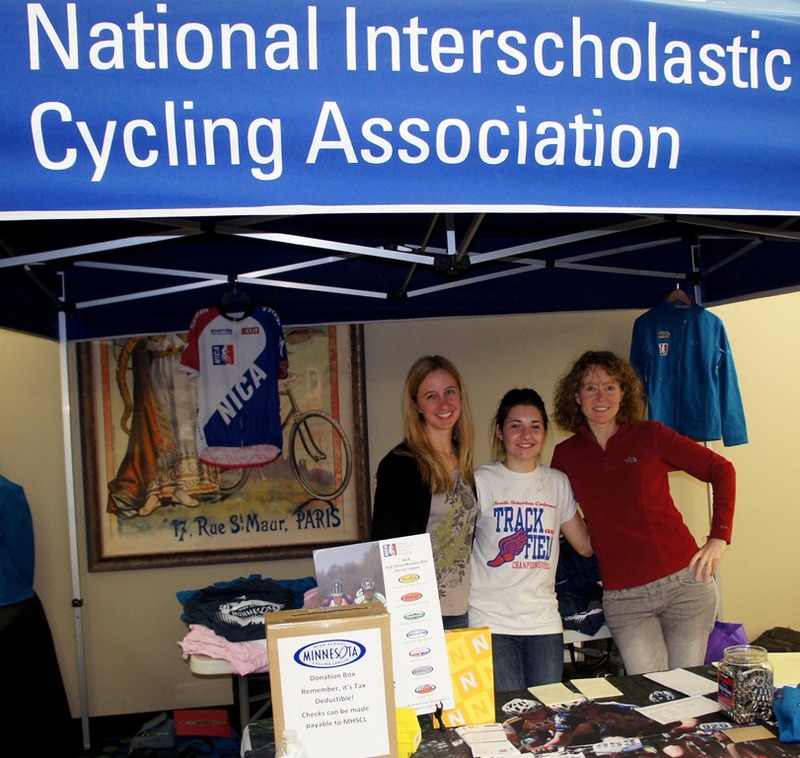 Other cycling sports might be supported at a later date but that the National Interscholastic Cycling Association (NICA) believes that mountain biking is the ‘T-Ball’ of cycling. 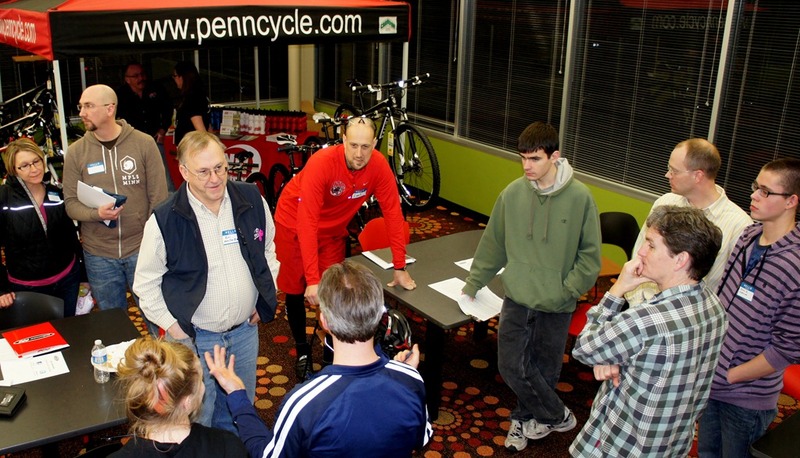 The League’s events will be open to individual student riders but organizers also believe that forming high school teams is the best way for students to learn the skills and how to ride safely. 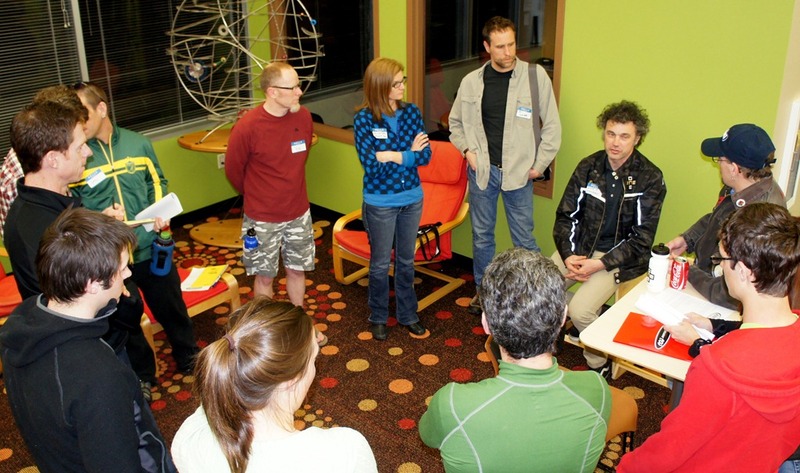 Organizers helped the attendees meet each other in geographic groups to facilitate planning. 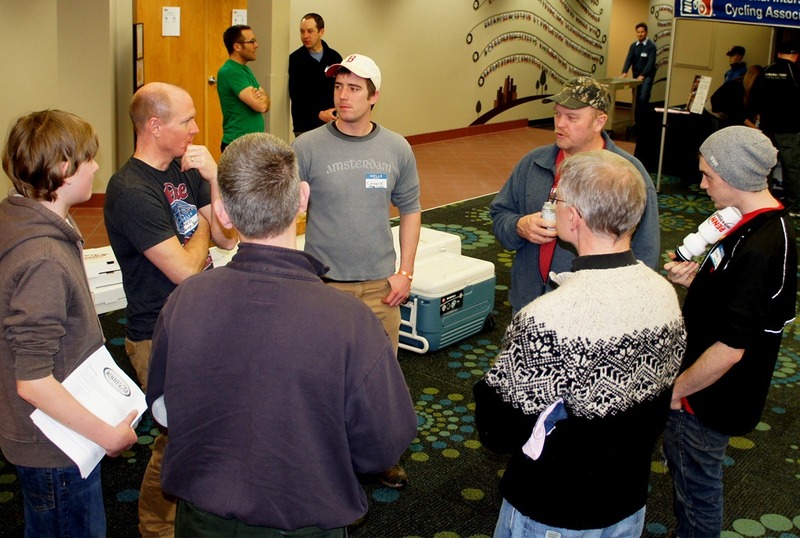 I got together with some guys from Cannon Falls and Red Wing at the meeting and we’re exploring the possibility of forming a Cannon River Valley regional team, to include those towns plus Faribault and Northfield. On Wednesday, I discussed all this with Northfield High School Activities Director Tom Graupmann and ARTech High School teacher Joe Pahr who both expressed interest and support for the idea. It would be a club sport like the NHS ski club, with no expectations of financial support from the schools. I’m looking for others interested in helping to get an area team formed. 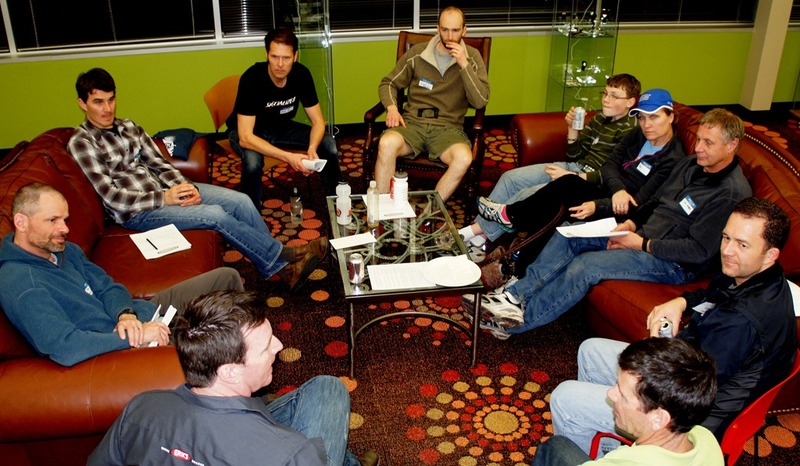 The immediate goal is to get interested adults to attend the Leaders’ Summit, held in Bloomington on April 21-22. This event is for parents who want to become head coaches, assistant coaches, or ride leaders for the new league. 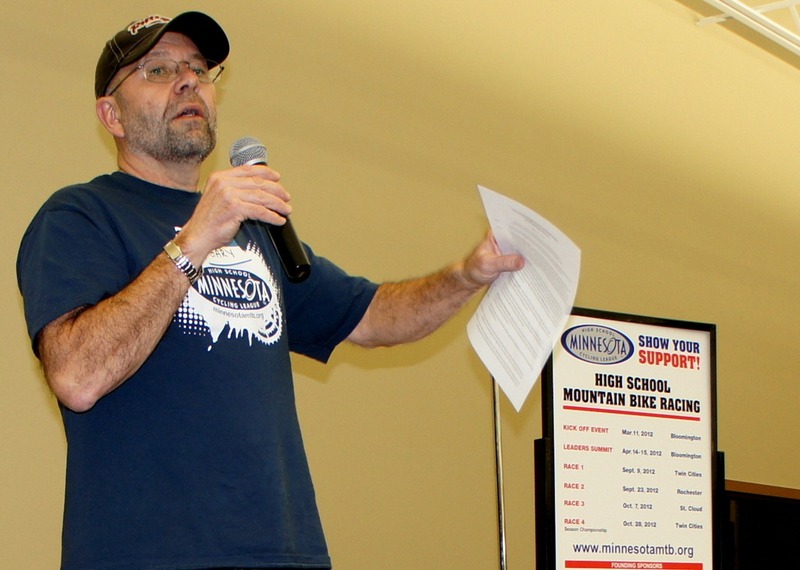 It’s a two-day school on how to work with high school-aged youth, how to teach young riders the skills necessary to become racers, information on Wilderness Training and CPR (both required to be a Head Coach), and is part of a required curriculum to become a licensed MN league coach. We’ll also do a little skills work outside, so come with bikes, helmets, ready to ride. Interested? Got questions? Attach a comment here or contact me. 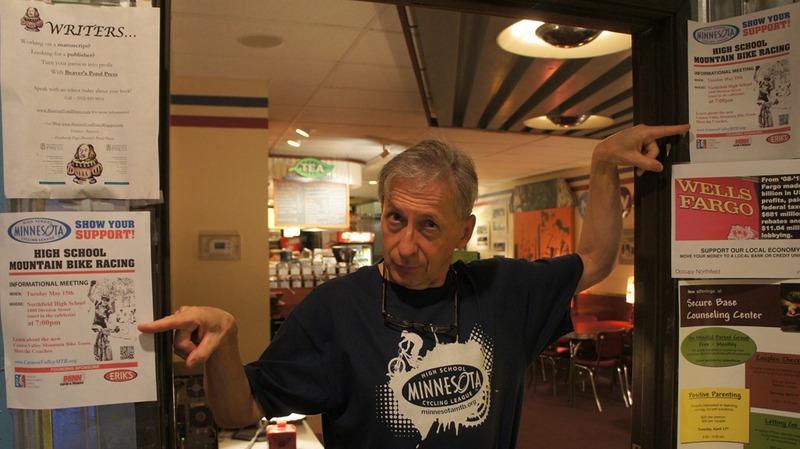 He’s not a Northfielder, but if you care about bicycling for yourself, your kids or your town, you should know what Gary Sjoquist is up to. Among his Minnesota-related activities, Gary co-founded Minnesota Off-Road Cyclists (MORC) "a non-profit volunteer organization dedicated to safeguarding the future of mountain biking in Minnesota… " One of MORC’s projects, which Gary has worked on for over ten years, is the Cuyuna Lakes Mountain Bike Trail Network that opened a month ago in the Cuyuna Country State Recreation Area. 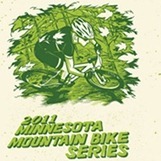 The Cuyuna Lakes Mountain Bike Festival is what got me hooked on mountain biking and spending more money than I’d ever imagined at Milltown Cycles. 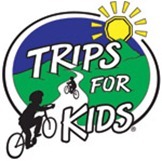 Trips for Kids, "which provides inner city kids the opportunity to experience mountain biking on our Minnesota trail system." 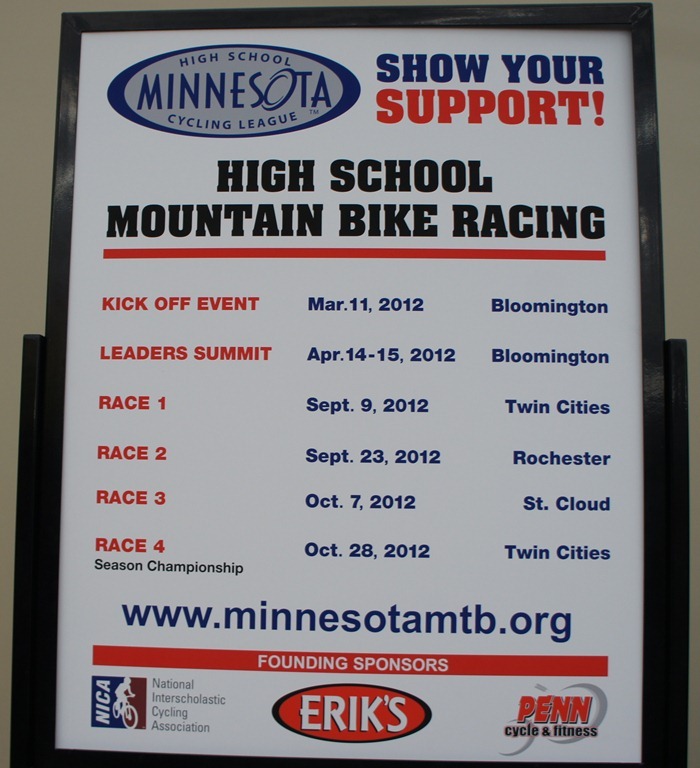 The new Minnesota High School Cycling League, "a newly formed Minnesota State High School League-sanctioned sport that begins competition in September of 2012." 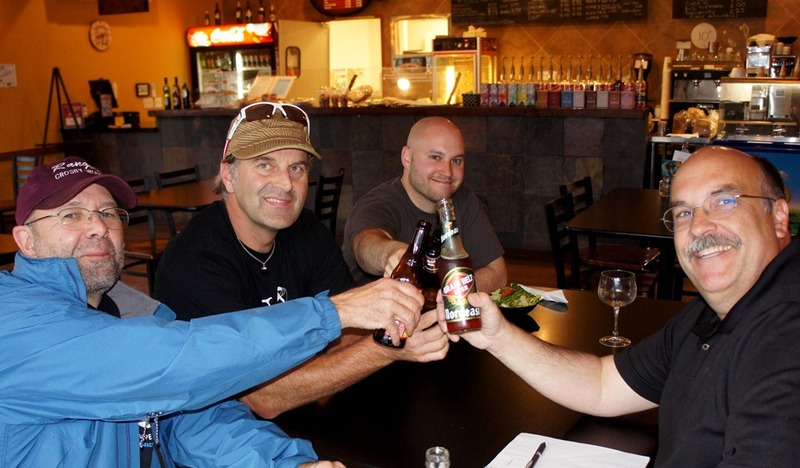 Bikes Belong Coalition was formed in 1999 as the national coalition of bicycle retailers and suppliers working to put more people on bikes more often. 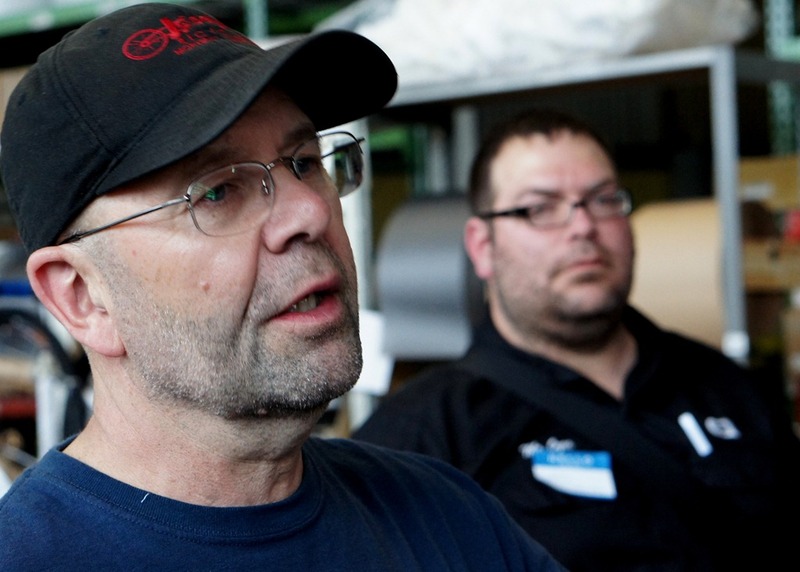 U.S. bicycle companies recognized that they could accomplish more for bicycling by working together than by working independently. 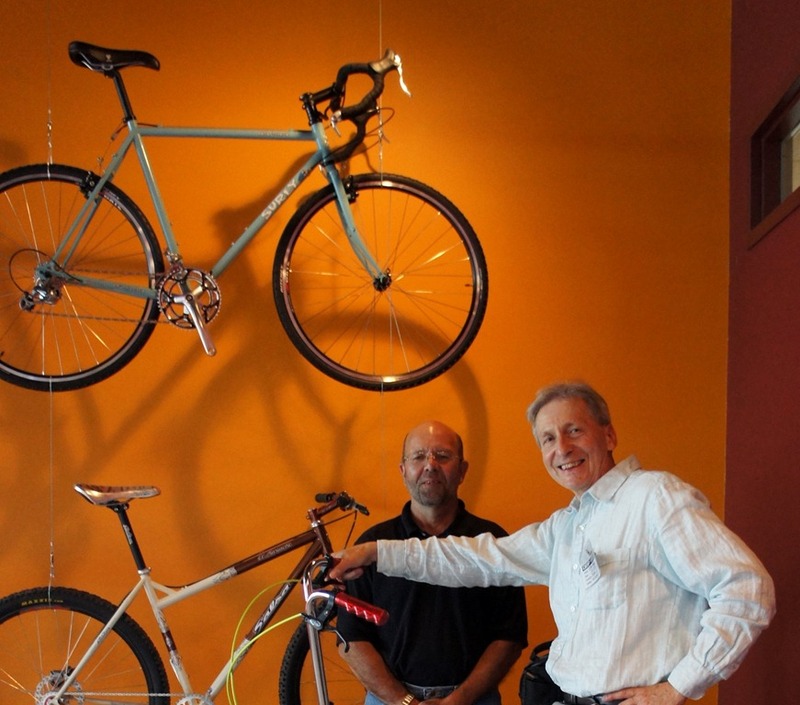 From helping create safe places to ride to promoting bicycling, we carefully select projects and partnerships that have the capacity to make a difference… Additionally, we operate the Bikes Belong Foundation to focus on children’s programs and bicycle safety. 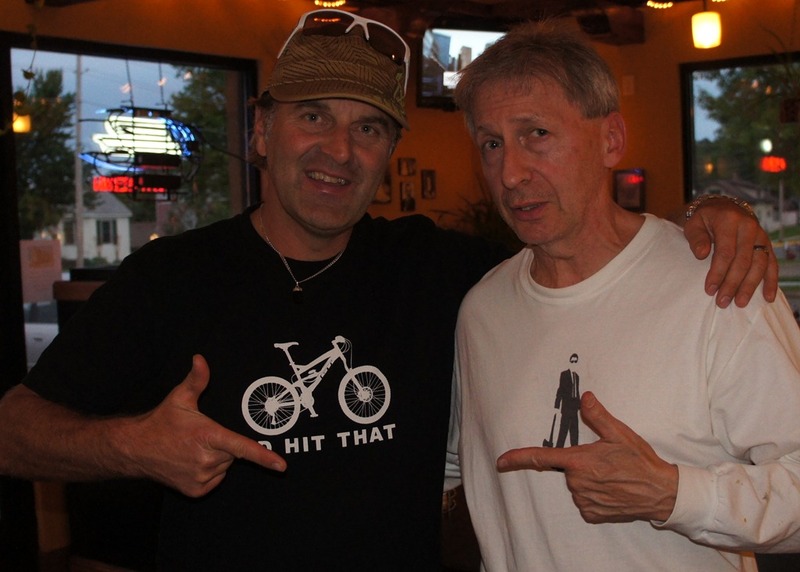 For more on his work, see the 2008 Bike Radar article, Interview: Gary Sjoquist, advocate. As you’ll see in my photo album, QBP’s headquarters and distribution center is not only huge, but spectacular. And it’s got a reputation as a great place to work. Their Career and benefits page has the details on why.